For those of you who did not read My 2011 New Year’s Resolutions, I shared some of my goals for the year. Some said I was too ambitious and others said I may have difficulty measuring the results. Normally, I would monitor my progress and publish the results at the end of the year. I decided to share my progress with you every Friday. You will see exactly how I am doing and monitor my progress. Top 100 Personal Finance Blogs – I want to be part of the Top 100 Personal Finance Blogs. I am using Open Site Explorer (OSE), which is a link popularity checker and backlink analysis tool. You will notice the OCE figures did not change, I believe they change monthly. In addition, I am using Alexa Ranking to check my progress. Looks like you are doing well so far. I will check my progress soon as well, but probably only once or twice a quarter. Thanks, I expect to be below 100K by the end of the Quarter! Glad to see you are monitoring much more than just Alexa ranking. Your other metrics (back links, domain authority) are impressive as well. Keep up the good work! Thank you, I feel I am in a marathon or quest! I wish the OSE would report more often, I feel like I am running blind. You’re making some great progress there. SEO itself, which is what many of these factors are, is a long-term game. You’ve been very consistent in your updates and your link building. If you keep this up, you’ll definitely reach your goal. Thanks, it is much more difficult than I thought! Thanks, I have 10.5 months to meet my goal. As I inch along and get feedback I am encouraged. Besides, so far, I am enjoying the process. Awesome job, keep it up! 🙂 That reminds me to work on my goals especially getting back to the gym. I’ve read Patterson before and like his style. How’s Tick Tock going for you? Thanks, I finished Tick Tock on Thursday. It is a quick read and it was good. It’s so nice to see your progress. keep up the great work! 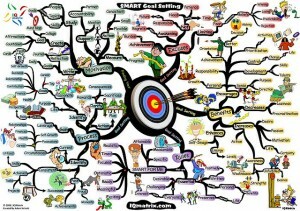 Thanks, I am focusing on my daily tasks because the goal is looking huge! Way to go with your updates! With these types of updates, there’s no doubt in my mind your blog will continue to flourish! Hi Krantcents-Very interesting. Patience happens to be one of my priorities as well. It is a continual challenge for me. BTW, I love your site, did you set it up yourself? The book sounds good. I’m reading Blink by Malcolm Gladwell and highly recommend it! Malcolm Gladwell is one of my favorite authors. I have read Blink, Outliers and What the Dog Saw. I like his writing and observations. My site was programmed in Thesis by a programmer with my input. In this week’s (Friday 2/18) update, I reveal how I am attacking the negative side of impatience.